The Museum Poldi Pezzoli, (Milan) An exhibition of works by Sandro Botticelli (Sandro Botticelli), timed to 500 anniversary of the death of the master. For the first time in a single exposure collected all works by Botticelli from public collections in the territory of Lombardy. At this exhibition presents eight of his works. One of the paintings - "Madonna of the Book" from the Museum Poldi Pezzoli-. This elegant work after the recent restoration of the original paint has played: the twilight sky again became a bright morning, the source mantle of the Madonna has found a bright blue color. He used to get that expensive color of lapis lazuli, which speaks of his high position at that time. Painting "The Suffering Christ," exhibited at the museum today is attributed by Botticelli himself, and not his studio, as suggested earlier. The exhibition's curator, Andrea Di Lorenzo (Andrea Di Lorenzo) found that the plaque with the image of Christ was part of a diptych. In one of the materials a hundred years ago, which found the scientist, the diptych was reproduced in full. Found out that he once belonged to a Russian nobleman, but then, perhaps, was divided, and the second part - "Our Lady of Sorrow" - was lost. As the director of the Museum Poldi-Pecolli Annalisa Zanni (Annalisa Zanni), «This exhibition proves once again that museums continue to archival research, are engaged in scientific analysis and conservation work». Eight masterpieces by Botticelli on display in a special space invented by architects Luca Rolla (Luca Rolla) and Bertini, Alberto (Alberto Bertini) so that light falls only on the paintings, stressing them, and everything is immersed in gloom. Sandro Botticelli was a master of the Florentine school worked under the patronage of the Medici family. His esteemed a famous art historian of the Renaissance, Giorgio Vasari (Giorgio Vasari). 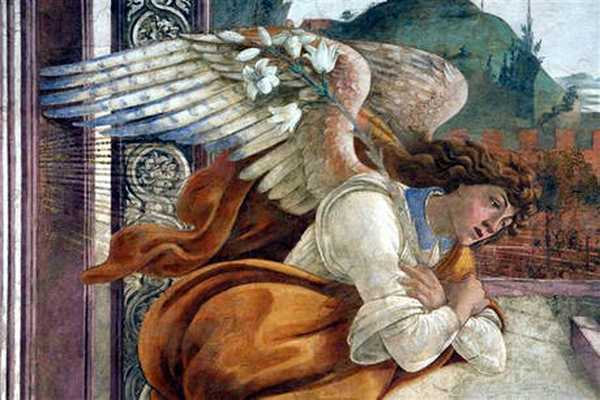 However, during the life of Botticelli's overshadowed by his own pupil of Filippino Lippi (Filippino Lippi) and Florentine painter Perugino (Perugino). It is they, rather than Botticelli Duke of Milan Lodovico Moro (Ludovico il Moro) gave the order for work in a large monastery in Pavia near Milan. Around the same time the artist turned away from the Duchess of Mantua, turned his favor from him to Perugino. Master has remained virtually without work. He died in 1510 in poverty and oblivion. curator Andrea Di Lorenzo believes that if Botticelli in recent years has had such patrons as Lodovico Moro, or the Duchess of Mantua, a collection of his works in Lombardi would have been much greater. exhibition will run until February 28, 2011.